To bid on an auction item you must call 1 844 400 1964 (toll free number) during the telethon. If you would like to be a member of the auction bidders with CTV News Anchor Steve Murphy during the live broadcast in the Halifax studio, please contact us. Bidders in the studio will have the final bidding opportunity just after 5 pm (Atlantic) during the live TV broadcast. If you have an item to donate to our auction, please download the PDF version of the Download Our Auction Item Donation Application and contact us. Please provide a photo if possible. John Deer lawn tractor model LA115 – gas powered “hydro static” starter. Donated by: Donald Gallant Enterprises Ltd. 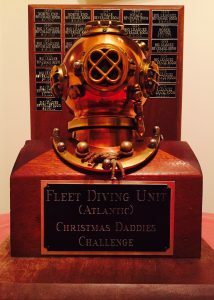 This MK 5 brass diving helmet was originally donated by Fleet Diving Unit (Atlantic) in 1985. 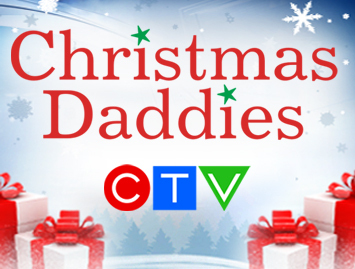 A returning item to the Christmas Daddies Telethon auction. A returning item, the highest bidder has ownership until our next Christmas Daddies broadcast! For the followers of Canada’s iconic sailing legend the Bluenose, the pride of Lunenburg, NS. 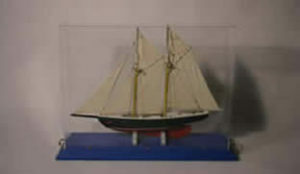 The Schooner was built and donated by Arthur Dalby. In 1983, The plunger was the “mystery item” hidden behind a dark drape and not revealed until the bidding was over! 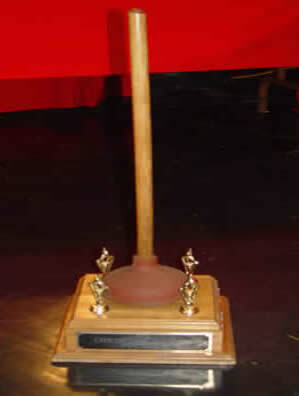 Claim bragging rights to the plunger by placing the highest bid. The plunger is a returning item.